Warning: This book will bring on cravings of cakes, pastries and yummy treats so make sure to have some near by! Emma Mae is an outstanding Baker at The Tanglewood, an Inn catering to weddings and honeymoons. Her famous Creme Brulee cake is all the rage! Jackson, owner of the Inn and Emma are now getting married. The first three books would have been helpful to read before this one. Much of the book feels like we should already know these characters and I didn't. I found it interesting that Emma is a diabetic baker. She makes these beautiful, tasty works of art, but can't really indulge in them because of her diabetes. The stress of running the Tea room at the Tanglewood is getting to her a little as she is trying to plan her wedding to Jackson. A company contacts Jackson and wants to clone the hotel, and set up 5 more around the country. They are interested in purchasing the original for a very good price. Jackson and Emma could live in Paris for a year, get settled into their marriage and take some time to write and take baking classes. The problem is, the Tanglewood is their life, and the employees are like family. How will they make a decision? Emma leaves it to Jackson, as it was a dream of his late wife Desiree to have the Tanglewood up and running. Emma doesn't feel right in asking him to keep it. I love how this has some quirky characters in it like Aunt Sophie, who is struggling with lucidity, and thinks Emma and Jackson have been married several times already. Hildie is a orphan who was living in the hotel unknown to the staff, and I enjoyed having a child in the story as well. There are several characters and it takes awhile to get everyone straight. I think even at the end some of the secondary ones I was like.. who is that again? I think if I had read the first I would have gotten them down better. Throughout the novel are great tips for organizing your wedding. After each chapter is a short page on topics like Tips for calming a nervous bride, Traditional wedding flowers and their meaning, and great recipes including the 6 step process of making the Creme Brule wedding cake. I think I will leave that one to the professionals! 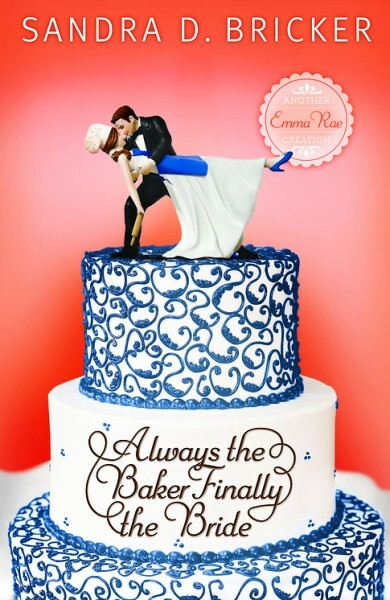 I really enjoyed this book, and I am planning on reading the first three in the series starting with, Always the Baker, Never the Bride even though I already know the end of the story. The characters are super likeable and I didn't want the story to end. I see she has two others that go along in the series as well. Sandra D. Bricker was an entertainment publicist in Los Angeles for 15+ years. She is now a best-selling, award-winning author of laugh-out-loud fiction for the inspirational market, and the mastermind behind the Another Emma Rae Creation series that started with Always the Baker Never the Bride. As an ovarian cancer survivor, she gears time and effort toward raising awareness and funds for research, diagnostics and a cure. 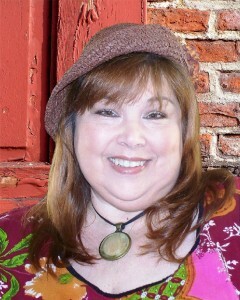 Visit her Web site at www.SandraDBricker.com and her blog at http://sandradbricker.blogspot.com. In our local bakery it's all about the cakes. I head for either German chocolate or triple chocolate tres leches. Anything with chocolate! Probably a big piece of cake. I would definitely go for a big yummy cupcake! I usually go for the cupcakes first. Thanks. Nice crusty french bread or decadent chocolate cake. I go straight to the fresh baked bread.